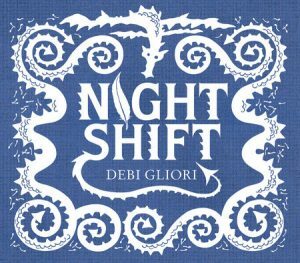 Scottish author/illustrator Debi Gliori describes her own traumatic journey with depression in this small but powerful picturebook. She narrates how her depression, personified by one of her signature dragons, unexplainably shows up one day and keeps increasing in size, debilitating her life more and more. She ably portrays the eventual paralysis she feels, until, finally, while running from her dragons, she finds a feather that shifts the night for her. Gliori combines her visual description of depression with sparse text that creates a visceral understanding of what depression feels like. She names her feelings in a series of single-page spreads that cumulatively create a feeling of hopelessness: fatigue, dread, hammering heart, hollowed out, diminished and fearful. She describes how, as an author, even her words leave so she has nothing to say. Even the “isms” she grew up with, such as “chin up” or “pull yourself together,” do nothing to give her the necessary energy to work with words or perform the actions of daily life. In the darkest night, illustrated with a blindfolded Gliori walking on a tightrope across an abyss, she just aims to survive, “holding fast to nothing in the knowledge that nothing will last forever.” In the end, it is the intricacies of a single black and white feather on the sand dune that helps her begin to shift out of the darkness. The illustrations are two-toned images except for the few touches of red flame as the dragon seeks to consume her. The black and white images communicate the colorless world of depression that Gliori experiences. In an Author’s Note, she states that her hope in writing the book is to help others understand the depths of darkness that is depression. While depression in children has not been a prominent theme explored in picture books, the increased numbers of diagnosed bouts of depression in children and youth has generated an interest in quality books that can connect with readers who themselves struggle with depression. There are excellent books that pair well with Night Shift. Meh (Deborah Malcolm, 2015), The Princess and the Fog (Lloyd Jones, 2015), and Willy and the Cloud (Anthony Browne, 2017) all deal with childhood depression from the perspective of a child. There are also quality texts in which a child talks about depression in a family member: The Color Thief (Andrew Peters, Polly Peters & Karen Littlewood, 2014) and Virginia Wolf (Kyo Maclear & Isabelle Arsenault, 2012). 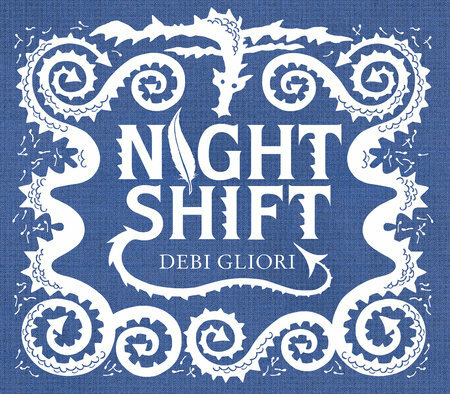 Debi Gliori is a Scottish writer and illustrator of many popular children’s books, including What’s the Time, Mr. Wolf? (2012) and the Mr. Bear series. Several of her titles have been nominated for the Kate Greenaway Medal (Mr. Bear to the Rescue, 1996; The Trouble with Dragons, 2008, a cautionary rhyming tale asking readers to car for the environment). She is also the author of the Pure Dead series for middle grades.